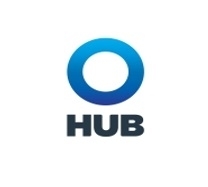 HUB International’s vision is to be the leading sales and service organization in the insurance industry. As the Commercial Account Associate you will have a great opportunity to work with a seasoned leader on an established book of mid-sized and large commercial accounts. Your focus will be on the retention of these accounts and their growth. If you have commercial lines insurance experience and are committed to delivering great customer service then this might be the role for you. This is a great opportunity to work independently on smaller accounts from start to finish in a junior account manager capacity. Benefits for being in this position are: excellent exposure to commercial lines while working for one of the top 10 Insurance Brokerages in the world, freedom in taking insurance courses to further yourself in your knowledge of insurance and working alongside top professionals in the Insurance industry! By taking the first step in applying, it just might get you a chance to work for one of the leading Insurance Brokerages in Canada and abroad! Your knowledge and experience in commercial insurance combined with your attention to detail and customer service focus are the keys to success in the role of Commercial Lines Account Associate. Prepares client renewal packages, policies, submissions, binders and summaries in timely manner. Ability to work collaboratively as a key member of a team and independently with minimum supervision servicing clients/marketing from beginning to end.